Tesser & Cohen has extensive experience representing clients in commercial practice involving both transactions and litigation. 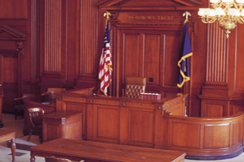 We handle litigation arising out of all contractual disputes and provide representation in state and federal courts, both at trial and appellate levels, in the areas of construction, surety, labor and employment, non-competition agreements, fraud and misrepresentation, insurance coverage, and architectural/engineering litigation. We are experienced in dealing with complex disputes and litigation arising from claims for design error and omissions as well as construction defects. We often work with accountants, engineers, appraisers, and other technical professionals in the preparation of claims and defenses and are capable of steering the most complex cases through litigation. As counsel, we often serve as the lead professional with the ultimate responsibility for assembling a team of experts to satisfy a client's needs. Tesser & Cohen has also developed an expertise in the growing field of Insurance and Surety Law. We have the ability to analyze insurance company and internal company audits in order to facilitate settlements or represent our clients in court or administrative hearings. Tesser & Cohen performs real property foreclosures, including workouts and liquidations. From the foreclosure complaint to receiverships and the foreclosure by sale, we are committed to ensuring that the proceedings are performed efficiently and in compliance with New York and New Jersey regulations.